Ever wondered how to Crocodile Crochet? Crocodile stitch is fun with its scale looking that we can use for many animal themed crochet projects. 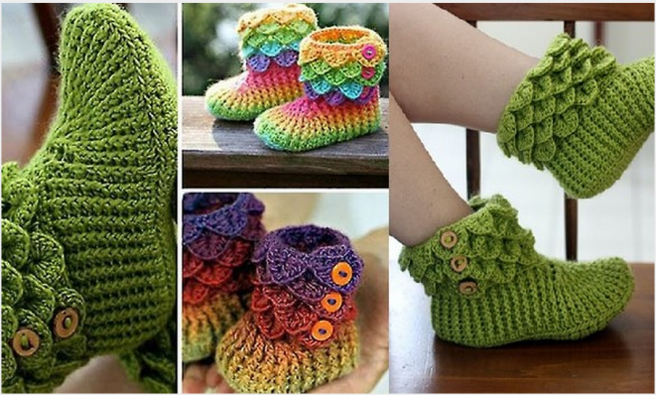 We have crochet crocodile draon scale gloves, crocodile bags, crochet crocodile owls (one of my favorite) and today we are going to share another super cool crochet crocodile project – dragon crocodile stitch boots. The pattern for the booties pictured are actually for sale over on etsy. I also found a youtube video that will teach you how to create this cute booties. 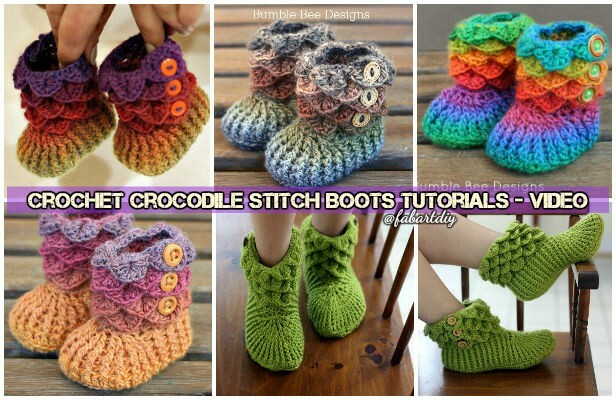 If you are relatively experienced at crocheting then you could make some beautiful crocodile stitch boots. 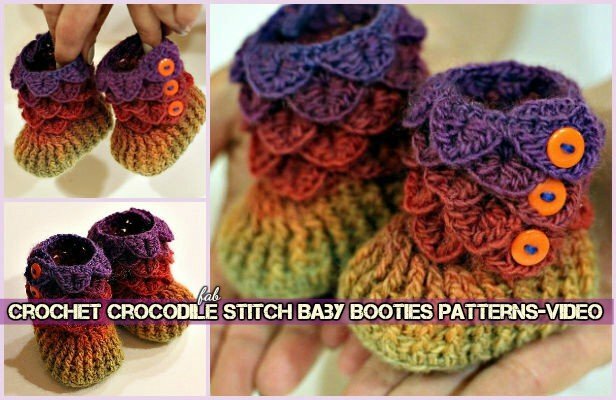 Making your very own crocodile stitch crochet booties is an excellent way to save money . They will keep your feet warm and comfortable during the cold winter days. 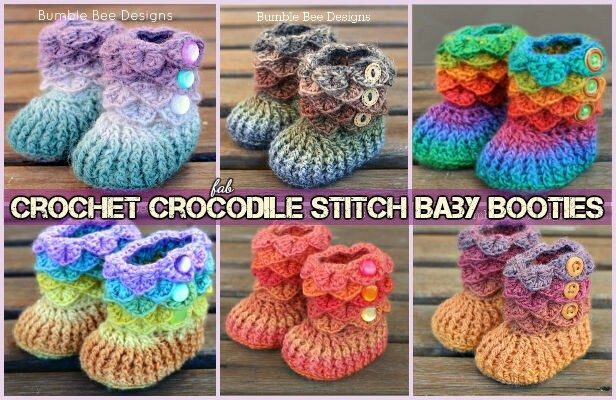 There are some versions of free crochet crocodile stitch baby booties patterns around the web, but if you would love to get the exact fabulous looking of this dragon scale looking on fire, you might want to spend a small amount of money to get the paid pattern from Bonita patterns. The following are inspired by Baby Rainbow. It includes a Photo Tutorial with many pictures showing the pattern in more details. Pattern is written in US crochet terms. And there are junior and adult version combo that you can purchase together to save some money. Youtube channel Kiki Crochet shares vedio version of crochet booties in English so you can follow and challenge yourself after.